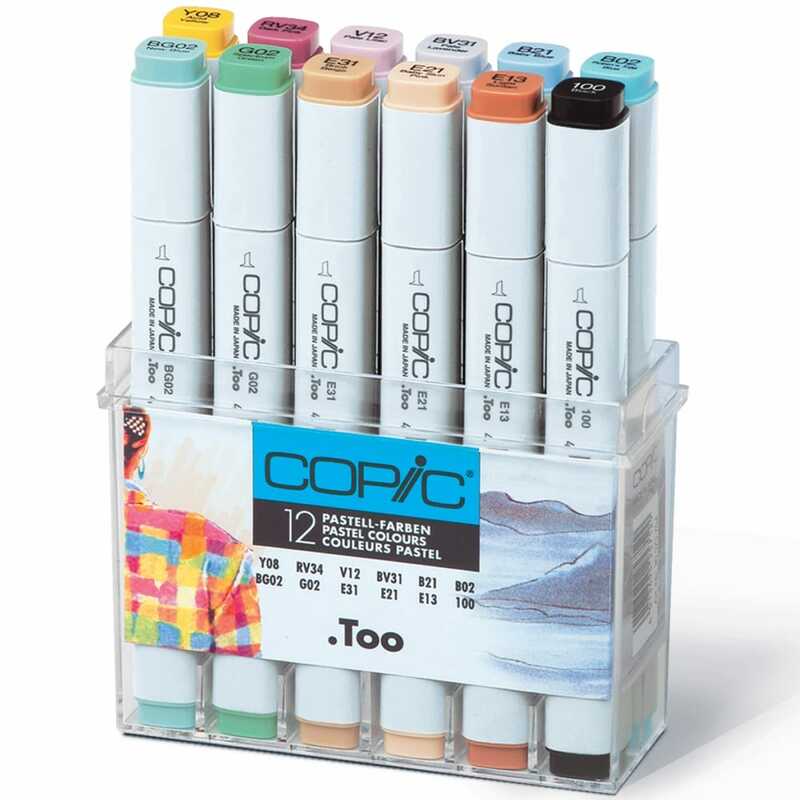 Copic Markers are the original line of high quality illustrating tools, with refillable ink, favoured by design studios and artist's around the world. Alcohol-based ink that is permanent and non-toxic, dries acid-free each pen has chisel nib for thick strokes and fine tip nib for detailed work. Nibs: fine 0.5mm and Chisel 2-6mm. Suitable for manga, illustration, design studios and fine art, they are non-toxic with safety caps. Includes 12 colours: B02, B21, BG02, BV31, G02, E13, E21, E31, RV34, V12, Y08 and 100.